AS VALENTINE’S Day brings out both romantic couples and happy singles, BE Resort, Mactan rolls out its inclusive Valentine’s Day promotions that leave no love-seeker behind. Pick your fancy—a romantic dinner package for those in love or a fun-filled soiree for those looking to be. 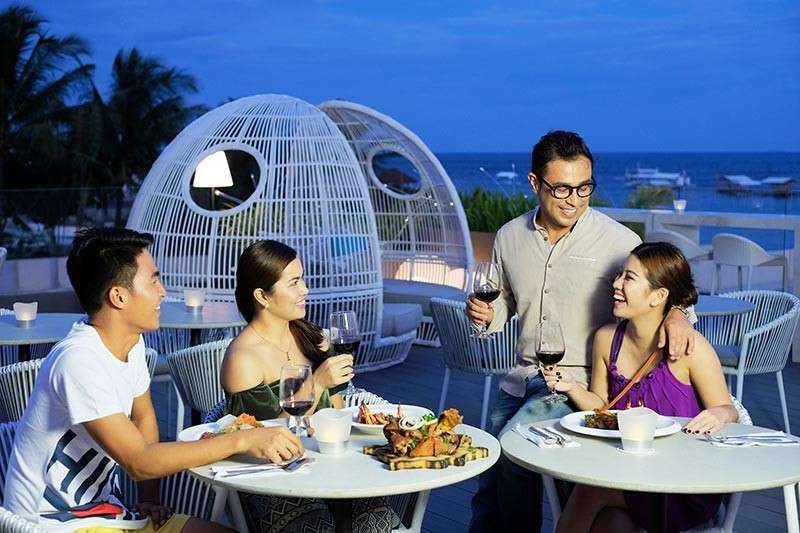 At The Deck—BE Resort, Mactan’s new al fresco lounge—a themed three-course dinner under the stars awaits couples from 6 to 10 p.m. Choose between dill-crusted salmon in marinara sauce or char-grilled U.S. beef tenderloin in red wine sauce, for entrées; baked strawberry cheesecake or chocolate lava cake for dessert, while serenaded by a violinist. Couples can cap their sumptuous meals with after-dinner cocktails at the Boardwalk, beside Salt Restaurant & Bar, the resort’s chic, newly revamped restaurant. The ladies also go home with a special gift from the resort. For those availing of the dinner delight on the 14th, couples can stay the night with the one-day-only room promo of 50 percent off published rates.